* The Red Hook Festival is already under way. Friday night: Community BBQ & Dance Party. On Saturday, the Red Hook Rebirth Parade begins at Coffey Park at 10 a.m. Then head to Valentino Pier & Park for a full day of mainstage performances and activities, like free Kayak rides in New York Harbor. 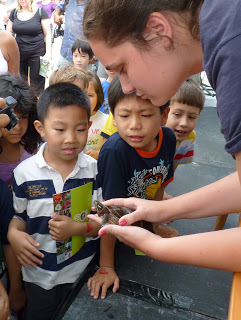 * The World Science Festival is returning to Brooklyn on Saturday, with events at two locations: MetroTech / NYU-Poly in Downtown Brooklyn, and Brooklyn Bridge Park. 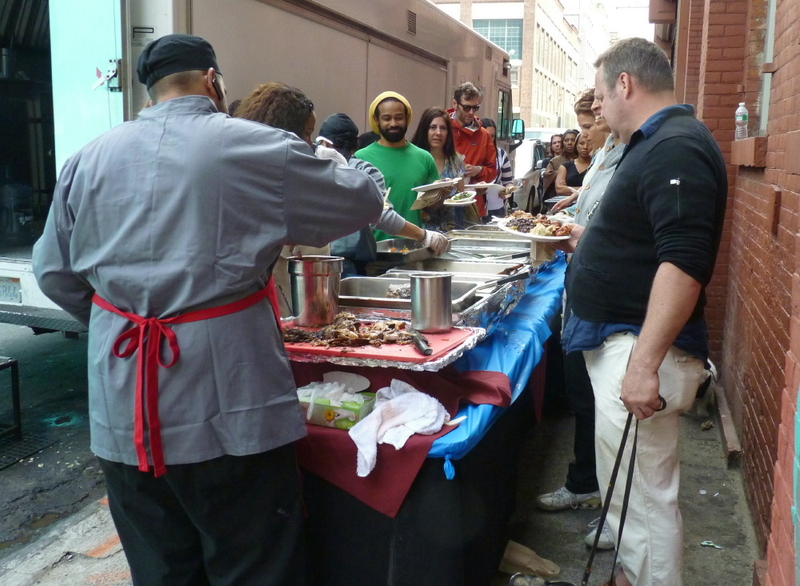 Read our post about this very cool geeky event here. * Zombies return to Williamsburg on June 2 for a blood-soaked bar crawl. Get made up at the Knitting Factory, surge onto Bedford Avenue and stagger to McCarren Park with 1,000 other walking dead. * Liberty Weekend from Friday to Sunday in New Utrecht features Revolutionary and Civil War re-enactors, historical displays, lectures and the firing of a Civil War cannon. * P.S. 29 Carnival Friday night in Cobble Hill. P.S. 32 Carnival Saturday afternoon in Carroll Gardens. * The Atlantic Avenue Wedding Extravaganza on Saturday will include mock weddings, an open-air fashion show on Boerum Place -- and puppies dressed in wedding gear at Adam Yauch Playground! 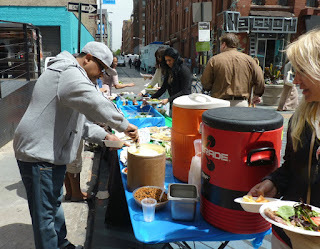 * Bushwick Open Studios, a three day arts and culture festival with performances, exhibitions, music and film. 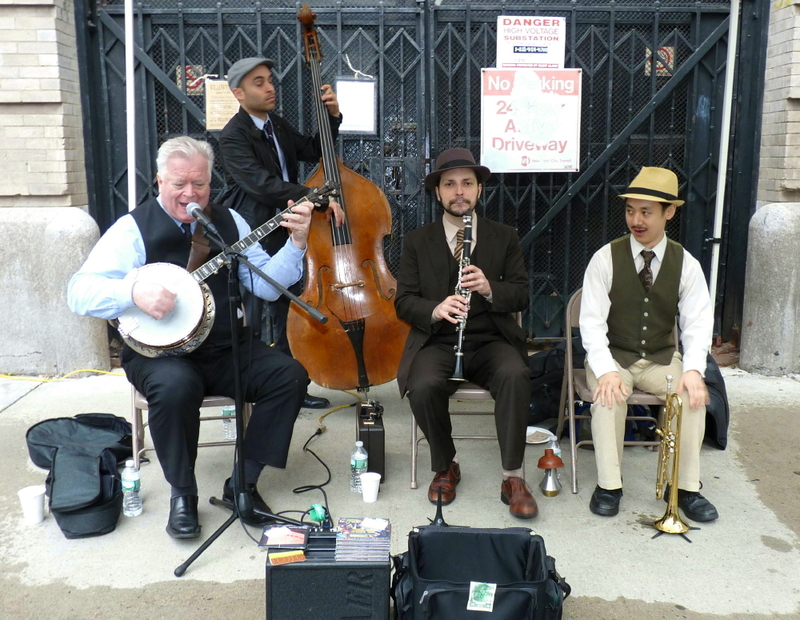 * The Fifth Avenue Spring Festival, a giant street fair complete with carnival games, rides, outdoor concerts by Brooklyn bands, sidewalk cafes and more will take place on Sunday from 69th Street to 85th Street, from noon to 6 p.m. The World Science Festival is returning to Brooklyn on Saturday, with events at two locations: MetroTech / NYU-Poly in Downtown Brooklyn, and Brooklyn Bridge Park. At MetroTech, Innovation Square will be set up in the Commons from noon - 8 p.m. where you can see cool cutting edge technology like flying robots, mini-drones, 3-D cameras, 3-D printers and performances by Blue Man Group tech-guru Bill Swartz. Inside are workshops, digital games and talks. Adults, teens and nerdy kids alike will love this. 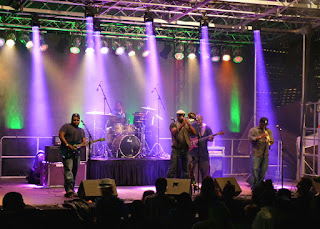 See photos of last year's festival here. At 8 p.m. the festival moves to Brooklyn Bridge Park’s Pier 1, where astronomers have set up telescopes for a free evening of stargazing. Is SUNY Downstate Missing the Boat by Restructuring without LICH? SUNY sees no role for its most valuable and potentially profitable hospital -- Long Island College Hospital (LICH) -- in its SUNY Downstate restructuring plan, which it presented on Tuesday. 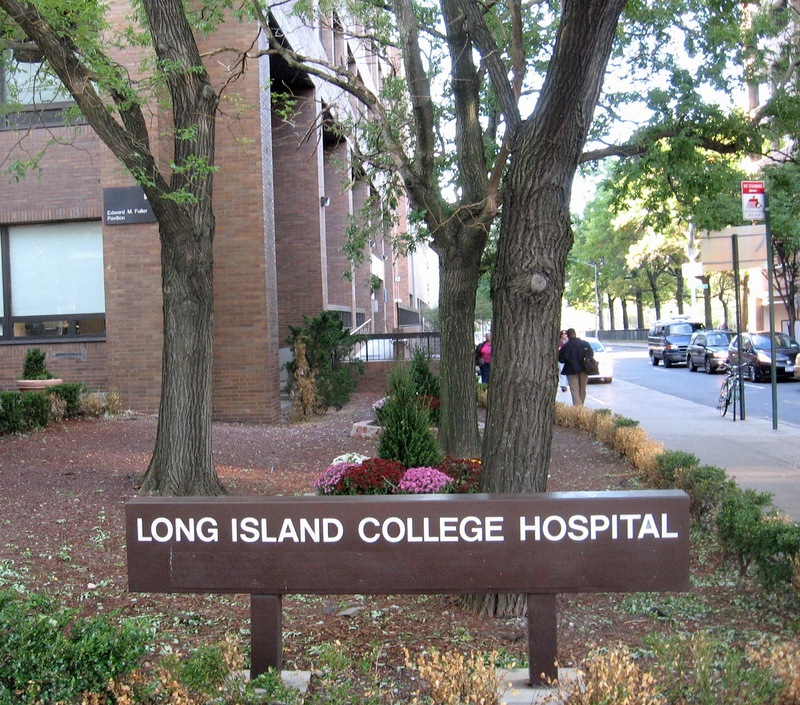 According to the Brooklyn Eagle, the plan includes downsizing Downstate, forming a network with other Brooklyn hospitals, and seeking another operator to take over some or all of LICH in Cobble Hill. SUNY says the proposed network of hospitals would streamline health services throughout the borough and bring in revenue to other financially-shaky hospitals. SUNY is asking for $435 million in transition funds over four years from the state. While many aspects of the plan make sense, it disappoints by overlooking the critical role LICH plays in north-central and Downtown Brooklyn. While SUNY Downstate has made LICH out to be a money-losing proposition, doctors at the hospital say that much of its financial difficulties stem from SUNY's mismanagement and Continuum's flawed contract with LICH to oversee billing and IT. Doctors and staff complain that Continuum doesn't bill for a large percentage of services, meaning LICH has essentially been providing health care for free to a substantial portion of patients. As LICH is in better physical shape than Downstate and better positioned geographically to attract patients with insurance, SUNY would lose less money by suing Continuum and expanding LICH -- not dumping it. - A hundred thanks to Sheepshead Bites for linking us to "Officials Say the Darndest Things." More than 2,170 backers have pledged $95,344 to save the Coney Island Mermaid Parade -- just $4,669 shy of the $100,000 Kickstarter goal, with five days left. If the total amount is donated by June 3, the city's most creative parade will go on as it has for 30 years. Hurricane Sandy wreaked havoc on Coney Island and destroyed the parade's headquarters and performance space on Surf Avenue, leaving the 31st Mermaid Parade with a budget shortfall of $100,000. More at Kickstarter. 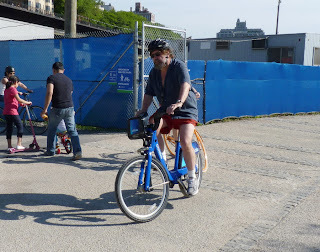 On our annual Memorial Day walk yesterday afternoon we ran across hundreds of bicyclists but only counted four people riding the new Citi Bikes. We started out in Brooklyn Heights and walked north to DUMBO (via Washington Street) then headed south through Brooklyn Bridge Park to Atlantic and then Cobble Hill. From there we walked north along Court Street (with stops for yogurt and shopping) to Clark Street back in Brooklyn Heights. 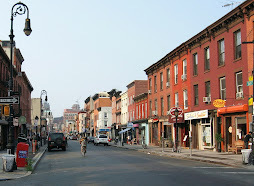 Then just for fun, we walked north and south on Henry Street. 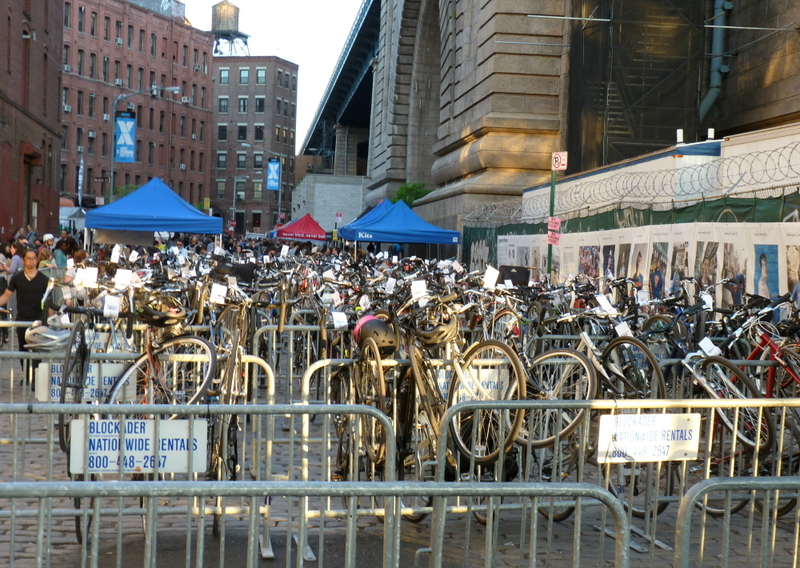 This route brought us past quite a few Citi Bike racks, mostly full of bikes. Our impression was that usage was a bit low on the program's first day. (Except for Clark Street, which was only a third full.) Anyone else have other impressions? 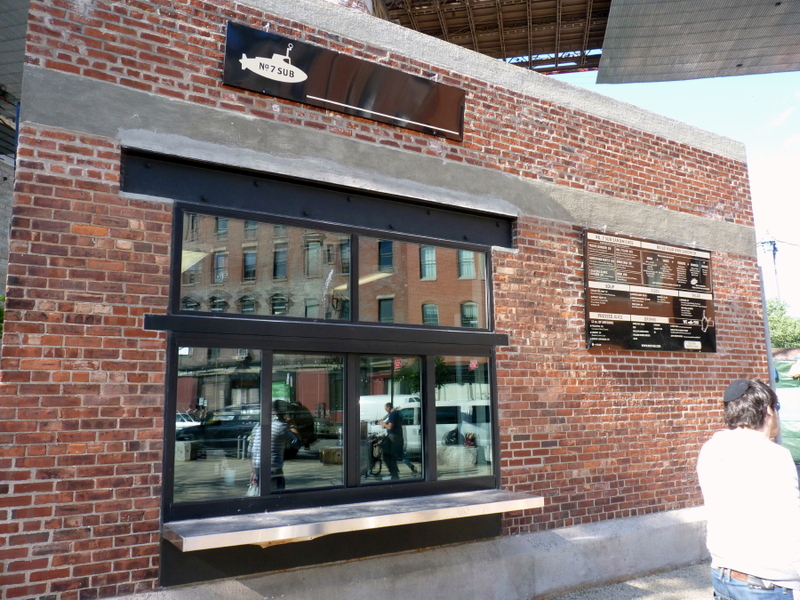 On Sunday restaurant staff busied themselves readying the two new food concessions sharing the so-called "Smokestack Building" at Brooklyn Bridge Park. 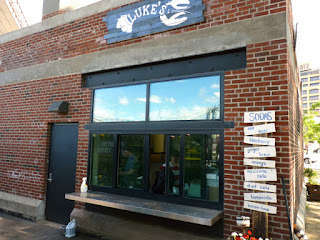 On one side is Luke's Lobster (above), serving New England-style lobster rolls and chowder, and on the other is No. 7 Sub (below), serving sandwiches made with "a protein and something pickled and something creamy," and then "something crunchy." The concessions weren't open on Sunday but it looked like they'll be open any minute. The Smokestack Building is all that's left of the boiler house of the historic New York City Department of Purchase Storehouse, otherwise known as the Purchase Building. 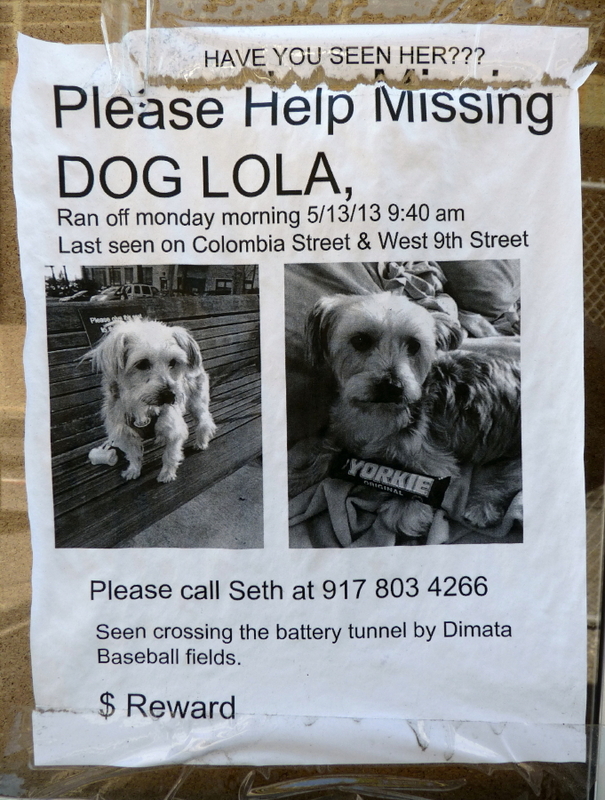 Lola, a little Yorkie, ran off on 5/13 in Brooklyn at Columbia and West 9th Street. 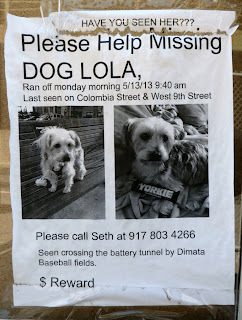 She was last seen crossing the Battery Tunnel by the Dimata ball fields. 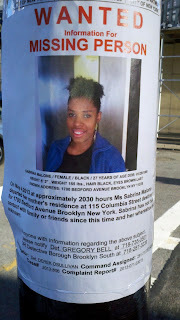 If you see her call Seth, at 917-803-4266. There's a reward. 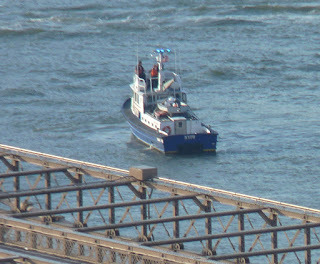 Police shut down the Brooklyn Bridge this evening around 5:30 p.m. when a dark car with no license plates was abandoned on the Manhattan-bound side. The NYPD bomb squad with bomb-sniffing dogs and FDNY emergency vehicles pulled onto the bridge. 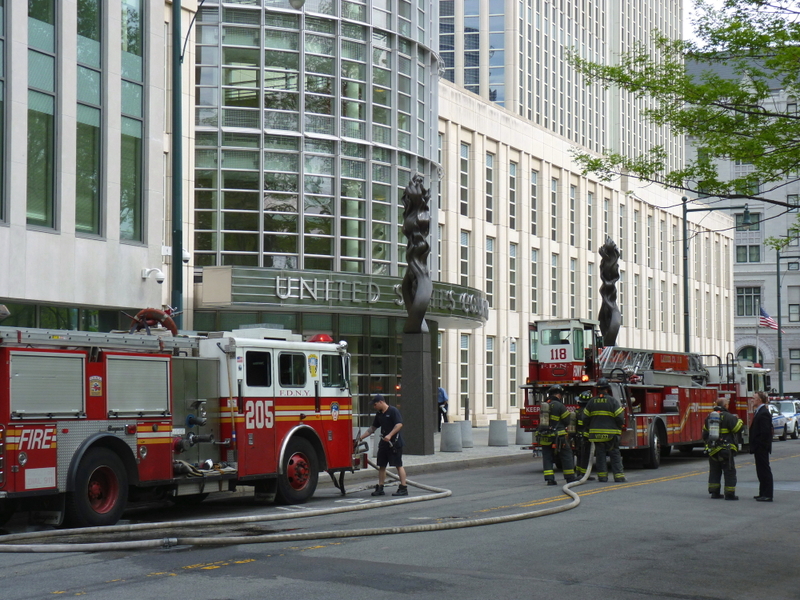 Above, it appears that a FDNY vehicle is turned diagonal to the roadway. The abandoned car is out of sight to the left. 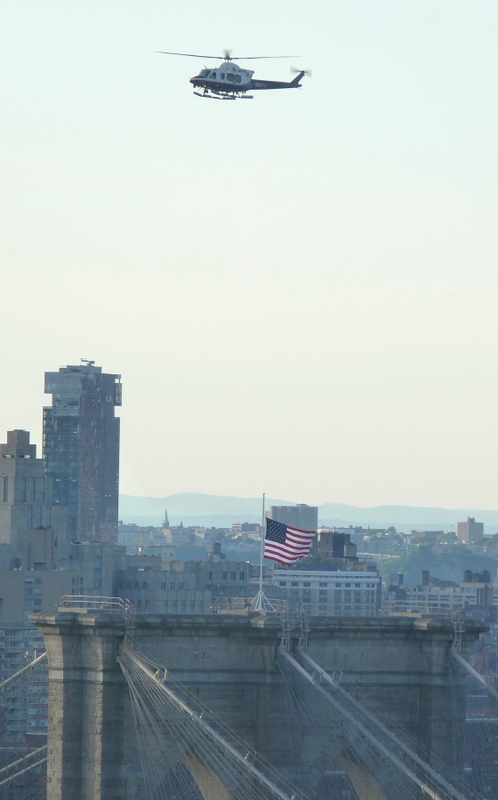 The emergency response included a police helicopter, which hovered over the Brooklyn tower of the bridge for more than an hour. 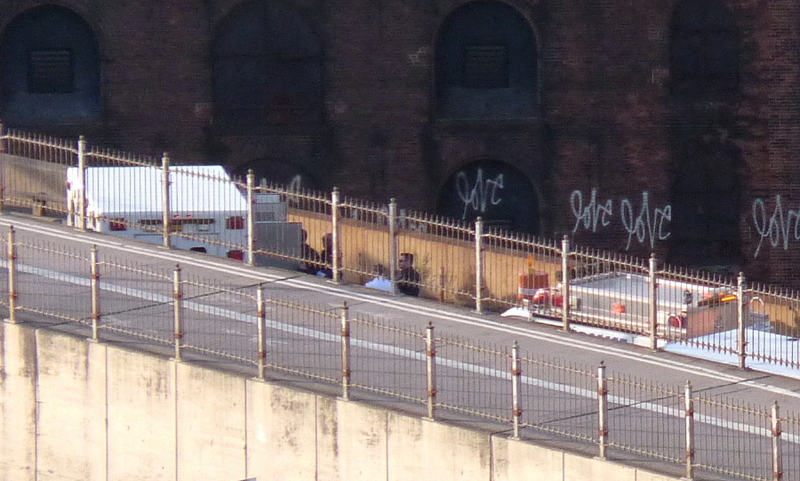 As the bomb squad examined the abandoned car, several NYPD marine units sailed around under the bridge. 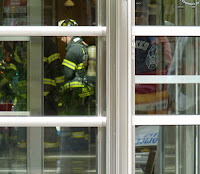 Police gave the "all clear" around 7 p.m., according to the Brooklyn Eagle. Besides having no plates, the vehicle did not have a vehicle identification number, according to CNN. 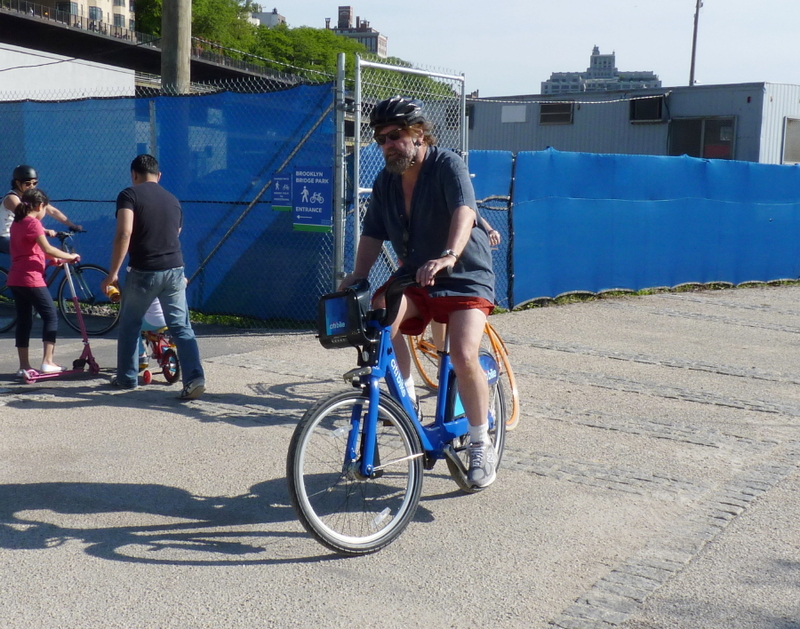 After the Great GoogsMooga food fest, "Nethermead meadow is in severe distress and is in far worse condition than it was left in from the fiasco last year," parks advocate Anne-Katrin Titze told Brooklyn Magazine. Sections of the Nethermead will be off limits for most of the summer while the meadow is reseeded. 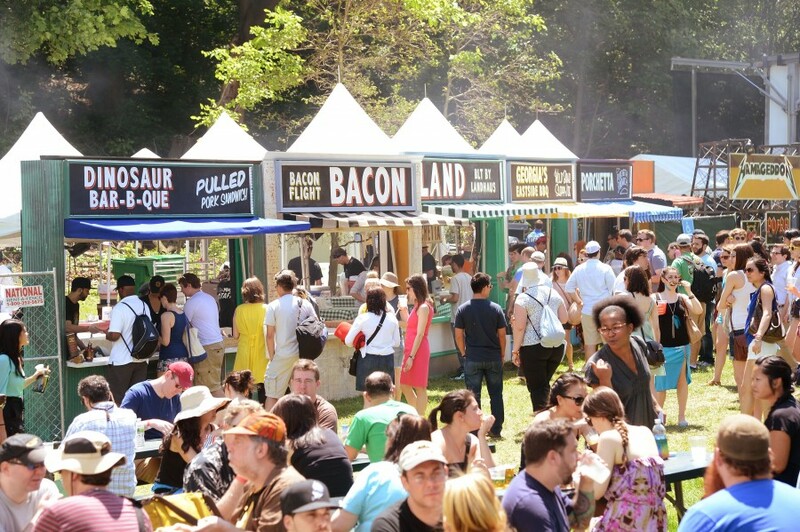 Really, GoogaMooga? Why was this mega-production held in a park and not in a parking lot? 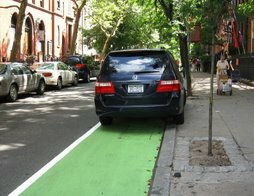 The Parks Department used to allow the same thing to happen at Cadman Plaza Park in Brooklyn Heights/ Downtown Brooklyn. Ironically, after they replaced the "Dustbowl" with artificial turf, they finally forbid news trucks from driving on the field. "Following the daytime activities and traditional family dinner hours, we also hope to use the play space as a seated venue where adults can enjoy jazz and educational programming. We will work closely with the community on the timing and nature on the evening jazz programming . . . We are also pleased to be partnering with our friends at the acclaimed Blue Ribbon Restaurants to operate the food and beverage at the RRPH." According to the Observer, some of the neighbors believe that the kid-friendly aspect is simply to disguise the creation of another night club. UPDATE: See the very detailed comment below. 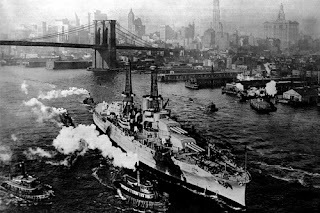 Fleet Week in New York City may have been cancelled due to budget cuts, but the 300-acre Brooklyn Navy Yard will be celebrating its own version of Fleet Week at BLDG 92 with exhibitions, a scavenger race, a boat christening, tours, a blacksmith demo and more. UPDATE: Event details are outdated online -- See details in comment below! The bicentennial of the War of 1812 will be commemorated on Saturday, 5/26 from 12pm- 6pm. Free admission to exhibitions: both the permanent exhibition, "Brooklyn Navy Yard: Past, Present & Future," and the opening of the War of 1812 traveling exhibit of the National Museum of the US Navy. BLDG 92 also unveils the gun of the USS Adams (1798). 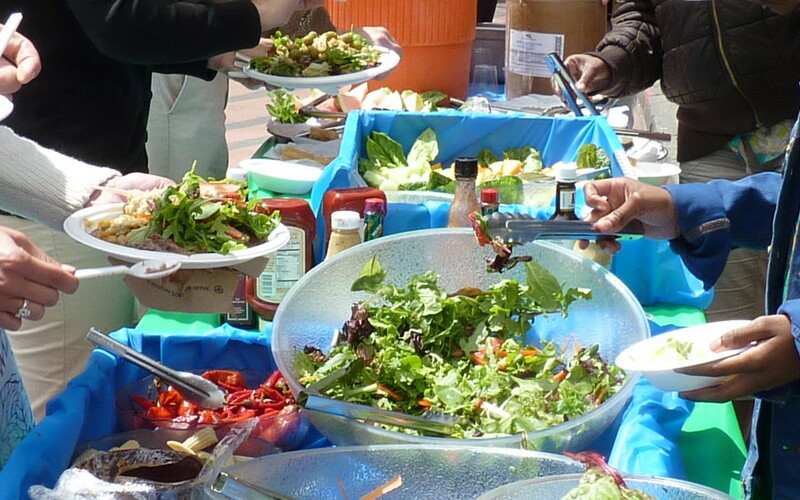 In the Forecourt, enjoy locally sourced food and bluegrass tunes in the sun. In the cafe upstairs enjoy goodies from Ted & Honey and beer and wine. 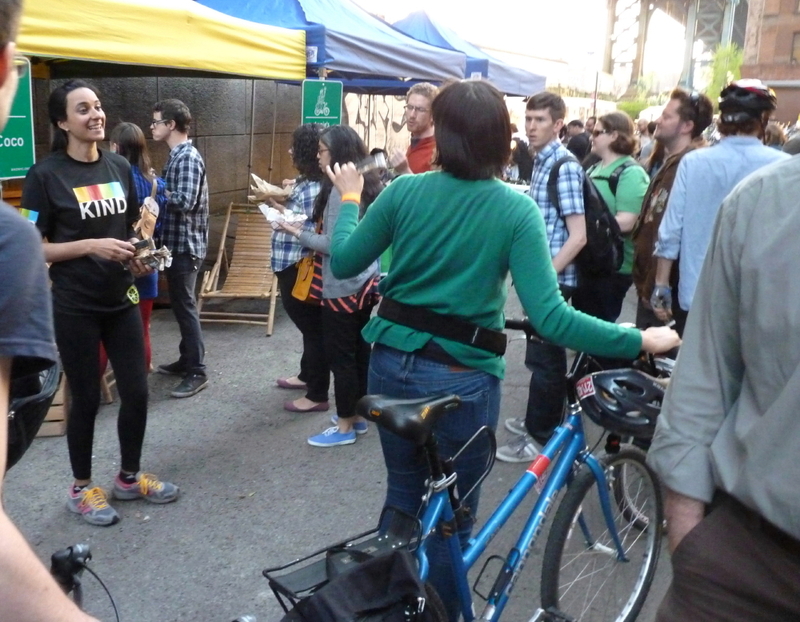 Bike and bus tours also happening on Sunday. A fireworks display will light up the sky tonight, May 23, over Brooklyn, Manhattan and New Jersey any time from 9 - 10:25 p.m. The display is brought to us courtesy of Shackman Associates. The fireworks will be launched from a barge about 360 yards east of Liberty Island. 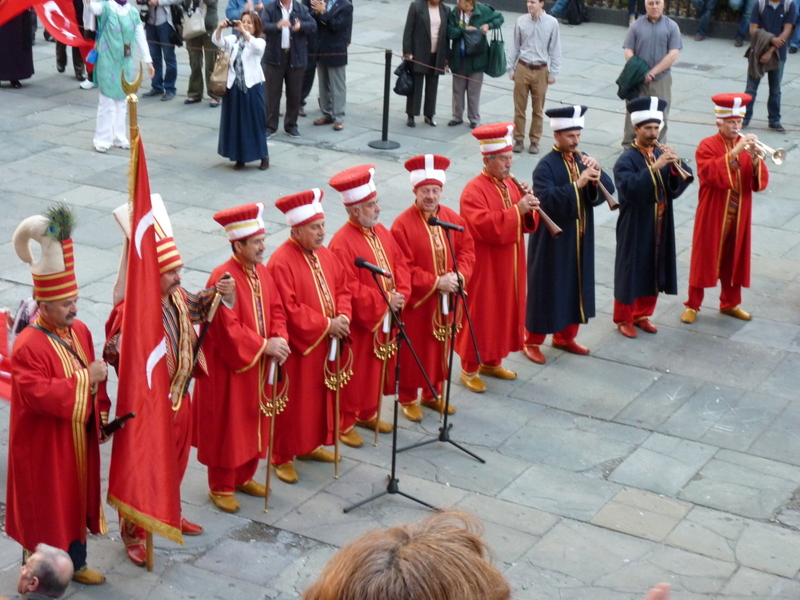 We don't know the reason for this particular celebration, but Shackman Associates says they provide "destination management and special event services to international, domestic, incentive and corporate meeting clients from all corners of the world." Brooklyn Prospect Charter School plans to open its first International Baccalaureate elementary school this September in Downtown Brooklyn (District 13), the Brooklyn Eagle reports. The school be located on the upper three floors of 80 Willoughby Street, in the same building as St. Joseph High School for girls. An info session takes place May 30; applications due June 3. Admission is by lottery. 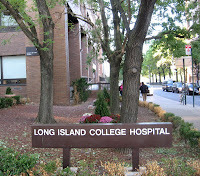 At Monday’s town hall to create a plan to rescue SUNY Downstate Medical Center, many supporters of Long Island College Hospital (LICH) said that the process was "too rushed and did not truly include the community," according to the Brooklyn Eagle. “The first thing I want to say is that this town hall meeting is not a substitute for meaningful, serious consultation with stakeholders. Our three-minute comments today are not the consultation with stakeholders required by law,” said LICH nurse Carmen Pimentel. But SUNY Downstate told the Eagle they're really, really listening to the community. No, really. More here. 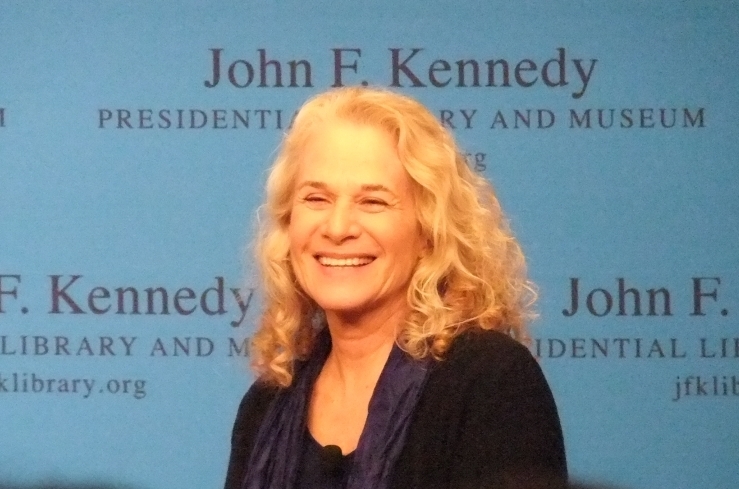 Wondering what Brooklyn songstress Carole King ( "You Make Me Feel Like A Natural Woman;" "You've Got A Friend") is up to lately? King's 1971 album "Tapestry" remains one of the best-selling records of all time. A concert in her honor at the White House will include performances by Gloria Estefan, Billy Joel, Jesse McCartney, Emeli Sande, James Taylor and Trisha Yearwood. It will be broadcast May 28 on PBS. 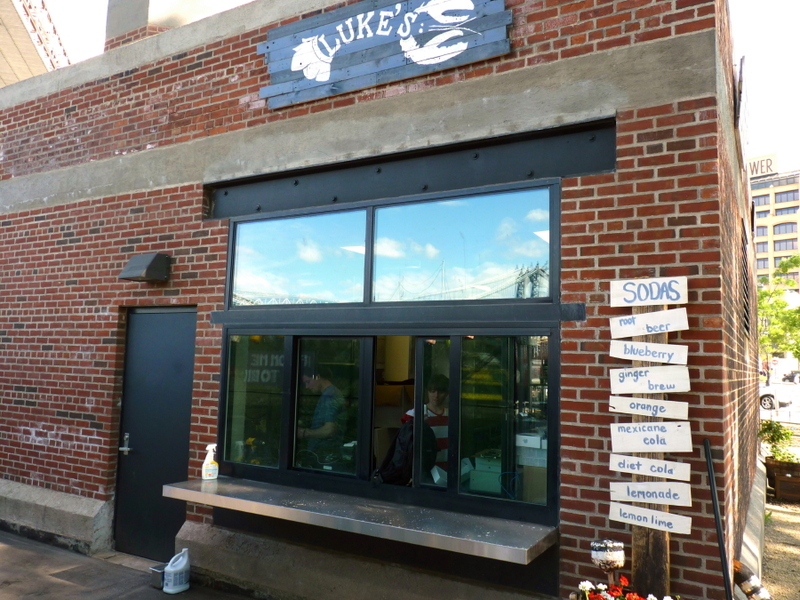 The Feds are suing a fish processor based at 738 Chester Street (near Ditmas) in Brooklyn for manufacturing ready-to-eat fish products under amazingly insanitary conditions, according to the U.S. Department of Justice. "Life-threatening bacteria" and widespread sanitation problems were found during repeated inspections of N.Y. 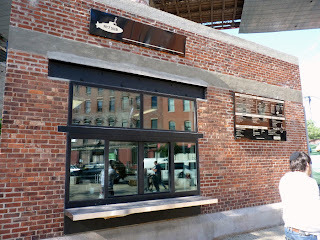 Fish, Inc. (AKA New York City Fish, Inc.) from 2006 - 2013. The salmon production equipment is so contaminated with deadly Listeria that it would be almost impossible to get rid of it, even if the companies tried hard -- which it didn't, the FDA said. Acting Assistant Attorney General for the Civil Division Stuart F. Delery said, “Inspectors who visited the defendants’ facility found more than Nemo; they found life-threatening bacteria. Despite repeated warnings and direction to sanitize the facility, the defendants have failed to do so. 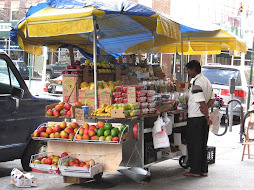 They cannot be allowed to continue to distribute potentially unsafe food to our families." The Department of Justice has filed a lawsuit against N.Y. Fish Inc.; New York City Fish Inc.; Maxim Kutsyk, Pavel Roytkov, Leonid Staroseletesky, and Steven Koyfman (the president is also listed as Steve Koifman and "Slavic Koifman"). Neighborhood and family fun was the theme at the 2013 Willowtown Spring Fair in Brooklyn Heights on Saturday. 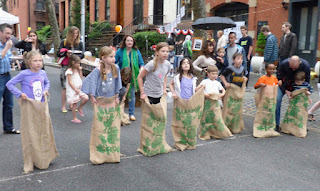 Kids hopped and jumped in the potato sack and three-legged races, and grownups showed their muscle in the tug-o-war competition. There were jumpy castles and face painting, and a self-guided architectural tour, too. Iris Cafe and Waterfront Wine and Spirits provided food and drinks, and the Willowtown Community Garden sold plants and filled a snack table with vegetables. 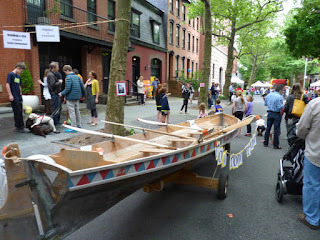 One of the raffle prizes was an East River boating adventure by the Village Community Boathouse, illustrated by the above boat docked in the middle of Willow Street. 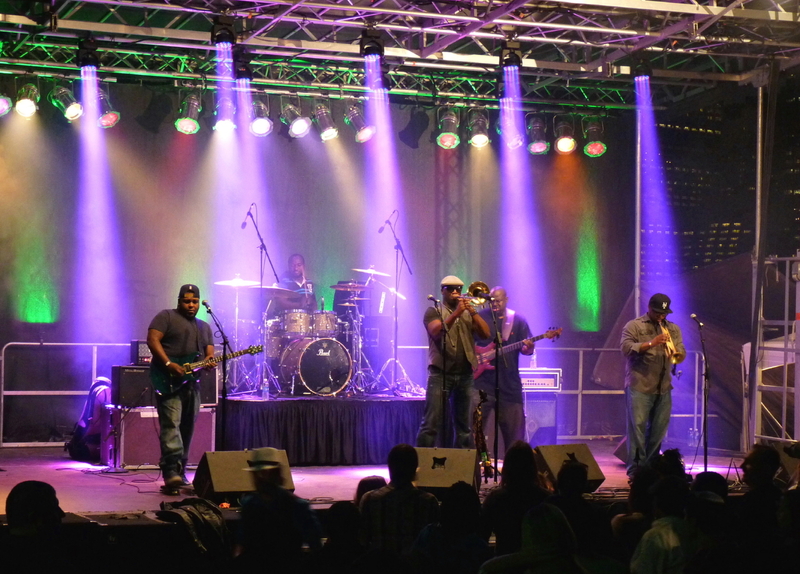 The annual fair raises money for the Willowtown Association. Tree planting is one of the projects supported by the fair. Above photos by MK Metz. 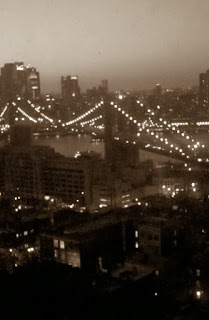 You can see more photos at the Brooklyn Heights Blog. 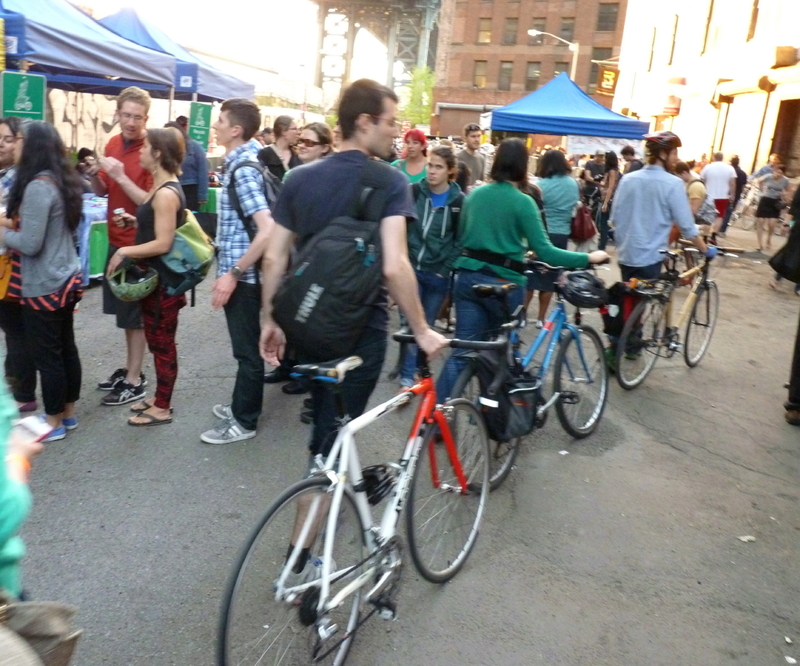 Bicyclists flooded into DUMBO after work on Friday for the Bike Home from Work Party, sponsored by Transportation Alternatives and Giro. Food and bicycle accessory pop-up shops lined Pearl Street, and hundreds of people sat at the picnic tables under the Manhattan Bridge Archway to eat Brooklyn Flea food and be entertained by a fashion show of reflective nighttime biker-wear. Vita Coco and Brooklyn Roasting Company gave out free drinks, Cabot Cheese gave away probably cheese (we missed this one) and Kind was handing out free nut bars -- yum, thank you. 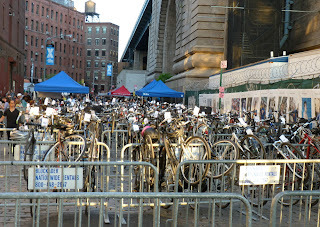 Above is part of the bicycle valet parking lot. 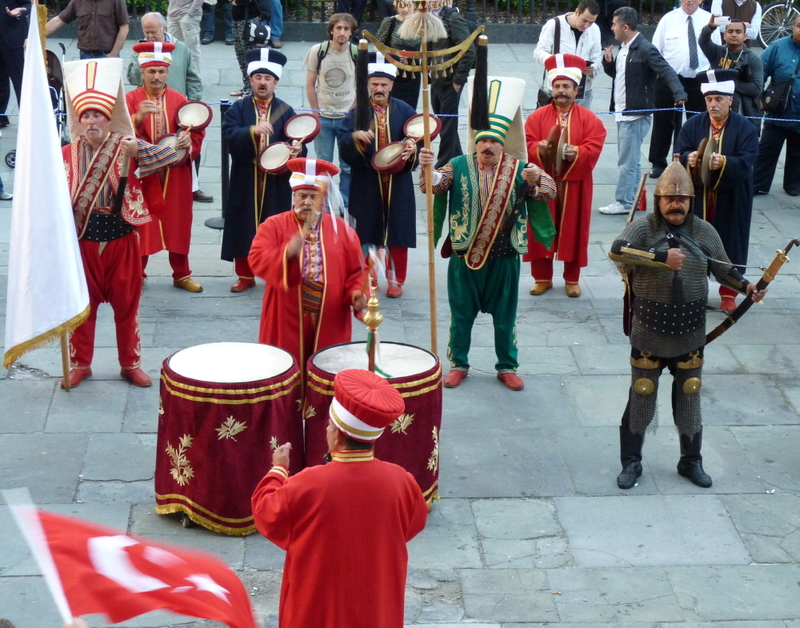 A military drumbeat rang out over Downtown Brooklyn on Thursday and we rushed to Brooklyn Borough Hall in time to catch an impressive performance of an Ottoman military band and teams of Turkish dancers. 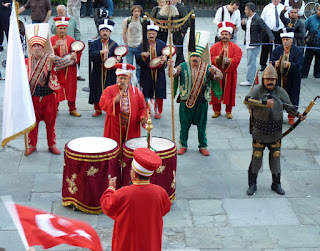 The event was Brooklyn’s annual Turkish Cultural Celebration, and was attended by both Turkish natives and Turkish wanna-be's like Brooklyn Borough President Marty Markowitz, who officiated along with the Consul General of Turkey. More about the celebration here. The most amazing transparent tent has been installed inside the Tobacco Warehouse in DUMBO, the venue for the “Brooklyn Half Pre-Party” and registration for this Saturday's Brooklyn Half Marathon. The structure fills the main section of the warehouse and lets in the sunshine, unlike the white tent more often used in the iconic roofless warehouse. 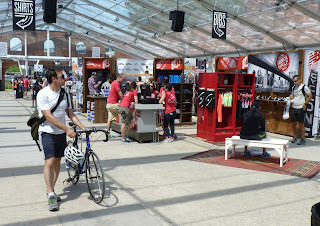 There's all kinds of racing-related merchandise, a Polaroid station, exercise equipment etc. inside the tent. 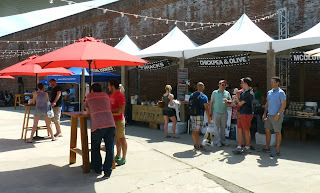 Food, beer and music are located in the next section of the warehouse. The party lasts till 9 p.m. tonight -- and the race starts Saturday at 7. 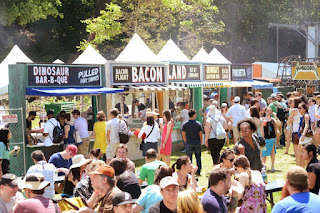 The organizers of the great mash of hungry hipster humanity known the Great GoogaMooga say they have learned from last year's snafus in Prospect Park and promise more food, water, cashiers, crowd-control and cell towers, and less endless lines, according to their website. While some who attended last year's music and food fest swear they will never go back, the $79 VIP tickets (and the freebies) for this weekend's festival are sold out. The kickoff concert tonight features the Yeah Yeah Yeahs, the Flaming Lips and the Darkness. Hard-hat workers on the Manhattan Bridge climb a long way down for lunch break on a temporary, enclosed stairway. 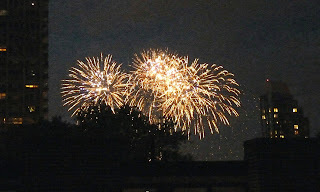 The third fireworks display in a week eight days exploded over New York City Thursday night (May 16), surprising folks in Manhattan, Brooklyn and Queens. According to the city, the fireworks display was sponsored by "XA Experimental Agency," and were set off from Pier 36, East River, on the Lower East Side. 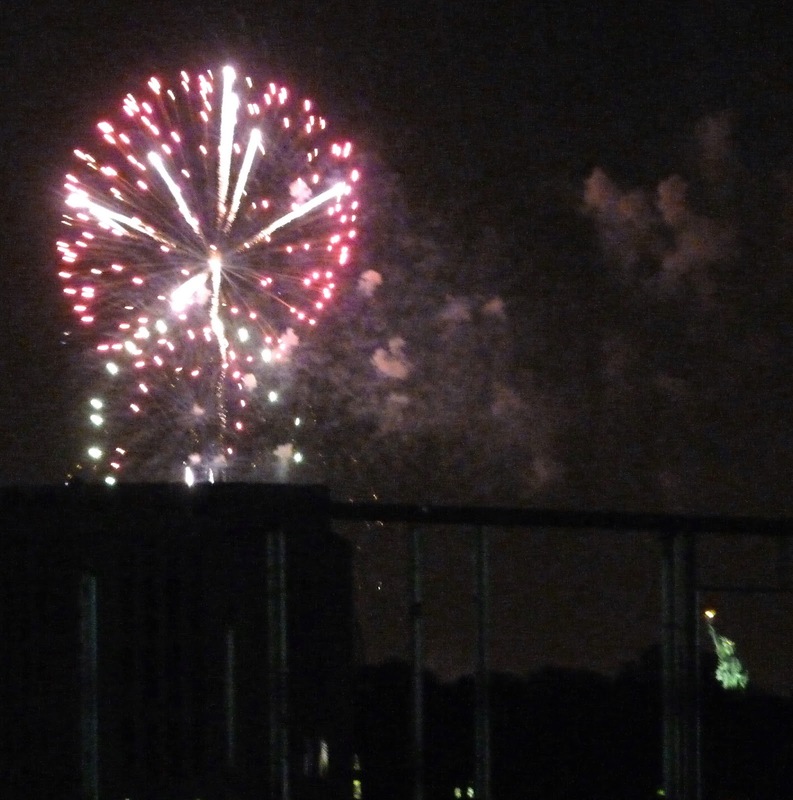 From Henry Street in Brooklyn Heights, where we were standing when we took the photo above, it appeared the fireworks were coming from Williamsburg. The company name is actually "XA the experiential agency" (not "experimental"). They do branding, live events, gorilla marketing, stunts and PR. No word what particular client (if any) they were celebrating tonight. UPDATE: Flyingflashlight shot a video of the display from a bridge. We think we see several letters at the beginning of the show -- maybe USA? or XAU? The sponsor was Allied P.R.A. – Pet Smart. And on May 8 we had the Norwegian Cruise Lines/ Rockettes /Peter Max cruise ship fireworks. If that's not enough for you, on both Friday and Saturday (May 17 and 18) more fireworks will be shot off (at 10:50 p.m.) from Citi Field in Queens, as part of the Electric Daisy Carnival. 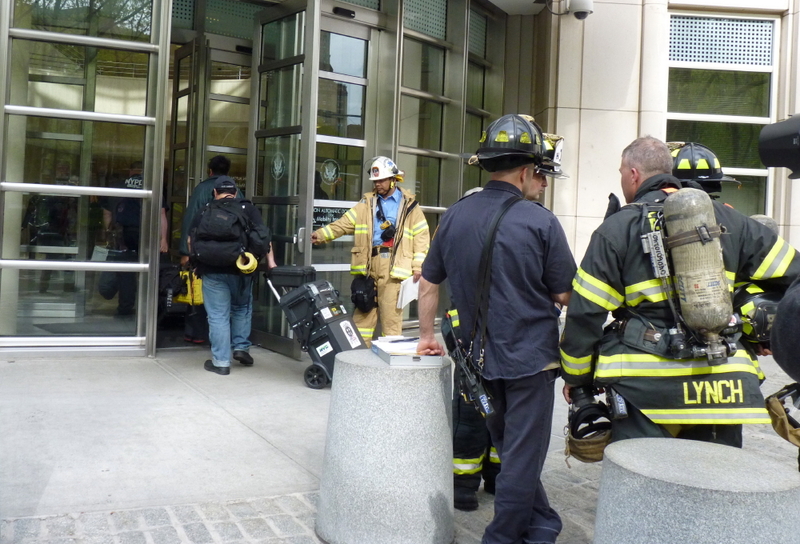 For the second time in eight days, an envelope filled with white powder mailed to the Brooklyn Federal Courthouse in Downtown Brooklyn triggered an anthrax scare, the NY Daily News reported. 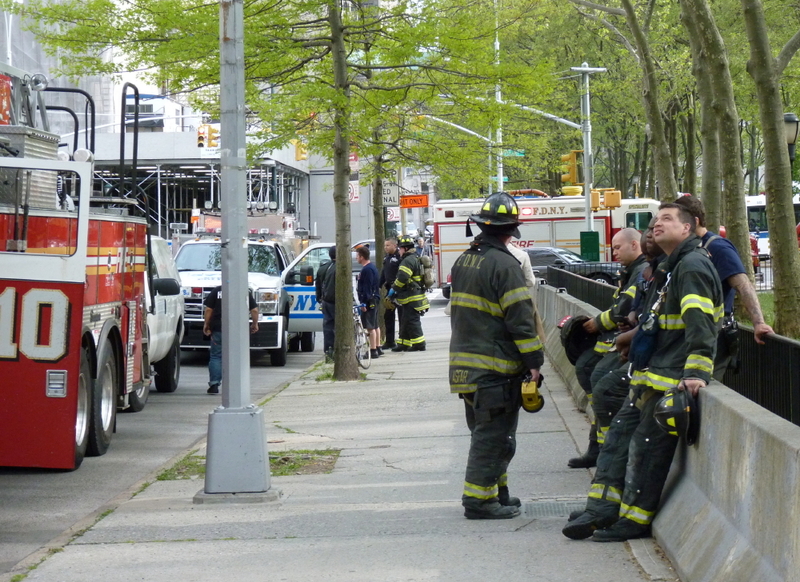 NYC sent out alerts warning shortly after 6 p.m. that traffic at Tillary Street and Cadman Plaza East was snarled due to police activity and emergency personnel. On May 7, the Clerk's Office at the same courthouse was placed under quarantine after an employee opened a letter filled with white powder. According to the News, both letters were sent by inmates serving time in separate prisons and appear to be unrelated. The FBI and IRS arrested three men including Aaron Muschel, 63, of Brooklyn yesterday on charges they stole $6.7 million in a Facebook scam. The trio told an investor they had special access to hard-to-get Facebook shares prior to the company’s initial public offering. The investor ("G.C") wired them millions of dollars between February and March 2012. The alleged fraudsters used the money to invest in other businesses and make loans. Besides Muschel, the other men arrested are Eliyahu Weinstein, 37, of Lakewood, New Jersey and Alex Schleider, 47, of Lakewood. Weinstein used some of the money to pay lawyers representing him in a pending $200 million real estate investment fraud scheme. 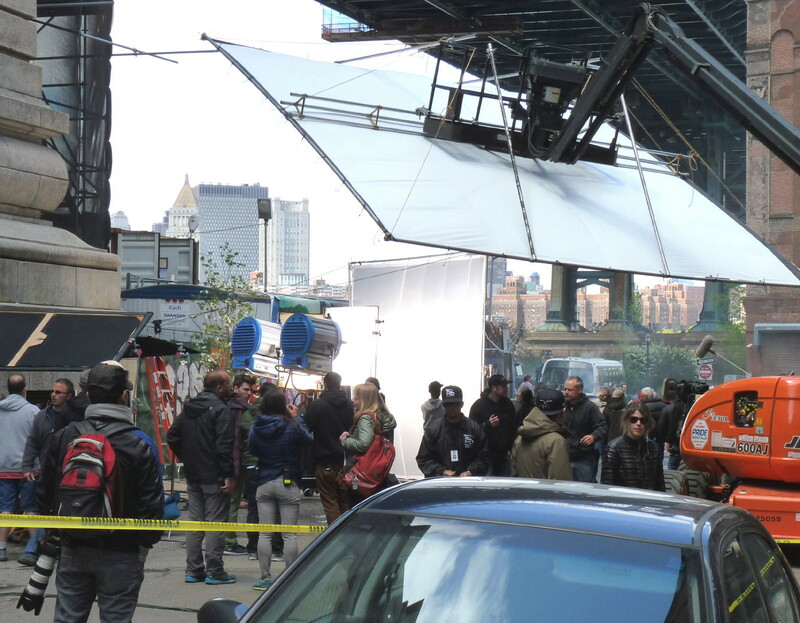 The Amazing Spider-Man 2 was filming in DUMBO again on Monday. 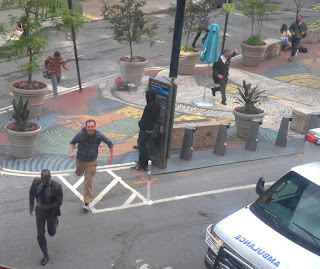 The neighborhood was taken over by police cars, the "Midtown bus," crowds of extras and all sorts of action. In this scene actors repeatedly ran across the Pearl Street Triangle away from some horror. Andrew Garfield plays Peter Parker (Spidey). Above, Garfield (or a body double) prepares for a scene. Paul Giamatti, who plays a villain called the Rhino, can be seen on the left. (As his alter ego the Russian thug Aleksei Sytsevich, he's got tattoos on his neck and forehead.) 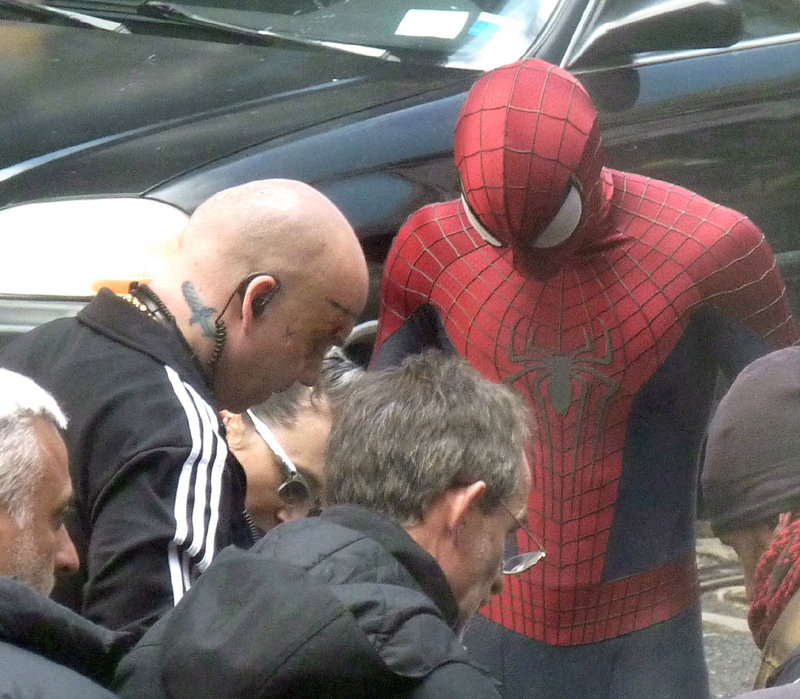 Other stars include Emma Stone as Gwen Stacy, Jamie Foxx as Electro and Sally Field as Aunt Mary. Plot spoilers here. 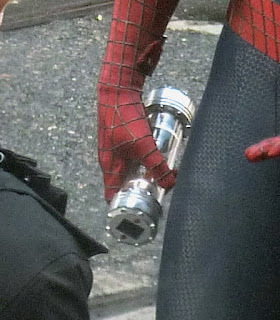 Spider-Man holds a mysterious object. There was a lot of waving it around and discussing it. Anybody know what it is? Mermaids and sea creatures are contributing swimmingly to the Kickstarter campaign to save this year's world famous Coney Island Mermaid Parade, which has reached close to half its goal of $100,000. By Sunday night more than 1,000 backers had pledged $46,548, with 21 days to go before the effort closes. Because of the damage Hurrican Sandy wreaked on Coney Island, parade organizers said the budget shortfall of $100,000 would probably spell doom to the wacky, exotic and anywhere else probably illegal symbol of all that is Coney. There are lots of perks for contributors. Just a few examples: Those pledging $40 will receive seashell pasties. Starting at $100: A mega-pack of 3D Mermaid Parade photos by Jay K. and a pair of 3D viewing glasses, plus a mermaid swag pack. Pledge $150 and you'll get a spot on the VIP deck. A pledge of $250 will buy you untold treasures, including partying and marching with the Sexcamaids and custom-made mermaid/merman gear. Here's one we love: pledge $5,000 or more and receive a Private Personalized Porta-potty: "Why wait on line when you can sit like a king and/or queen on your throne? Special Mermaid-themed, air-conditioned port-a-potty with security to prevent the mer-serfs from getting in. Oh, and also it's a parade float." With swag like this, it's no wonder the donations are pouring in. 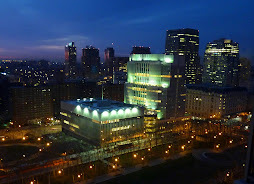 A commenter sends word that the NYS Senate Standing Committee on Higher Education will be holding a hearing on June 4 to discuss SUNY Downstate Hospital and Long Island College Hospital (LICH) "in regard to the sustainability plan required by the 2013-2014 state budget." Oral testimony will be heard "by invitation only." SUNY Downstate, nearly bankrupt, must submit a Sustainability Plan by June 1. To dig itself out of its financial hole, SUNY had been hoping to sell LICH's valuable real estate for up to $500 million. But a lawsuit, political action and a huge outpouring of support for the 150-year-old Cobble Hill hospital put a crimp in that plan. LICH is a critical provider of health care for Brooklyn residents from Red Hook to Williamsburg, including booming Downtown Brooklyn. On May 1 SUNY said they would drop their plan to sell LICH, and instead start a search for another entity to take over the hospital. As part of the search they issued a Request for Information (RFI). LICH supporters, however, said the RFI is designed to fail. It calls for potential LICH operators to put together a complex proposal providing medical, ownership, utilization, legal, regulatory and financial details by May 22 -- something SUNY has not been able to do in two years. This event will be streamed live. 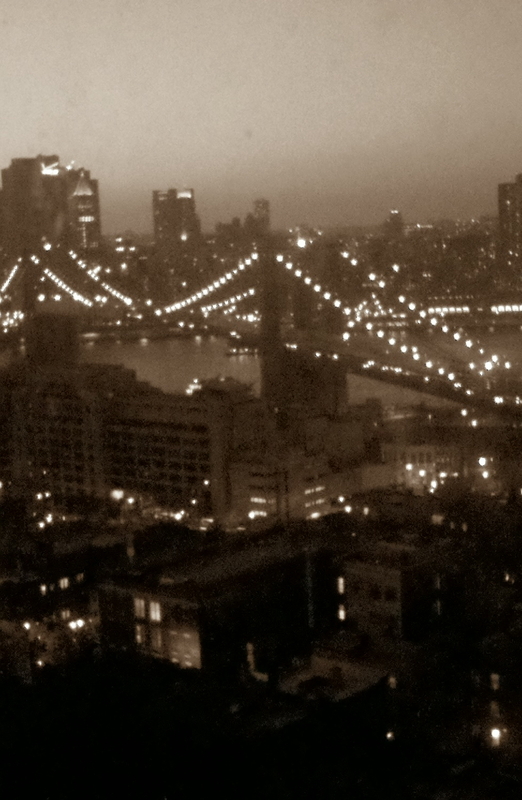 Thursday night we heard the rock/jazz/funkadelic sound of Big Sam's Funky Nation echoing across Brooklyn Heights. We wandered down to Brooklyn Bridge Park and found quite the party going on! It was Celebrate Brooklyn's excellent New Orleans Dance Party. 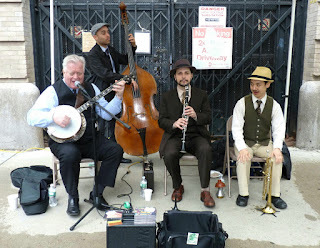 (Also entertaining were The Freedom Party NYC DJs Cosi, Herbert Holler, and Marc Smooth.) The music was just right and the crowd seemed to be having a great time. If you missed it (though you probably heard the music even if you weren't there), there will be two more dance parties at BBP: This upcoming Thursday (May 16) the Afro-Cuban Dance Party should get everyone moving, with Pedrito Martinez and DJ Nickodemus. Missing Brooklyn Woman Found Safe in D.C. When we see the Brooklyn Bridge looking like this, (pretty much the same as it's looked for 130 years), we wonder what it will look like when the Dock Street building goes up right next to it. Will its iconic silhouette be lost? Should we chance it? Norwegian Cruise Line's Peter Max-decorated cruise ship 'Norwegian Breakaway' has arrived in NYC and is being christened by The Rockettes as the ship’s official Godmothers. More than 4,000 guests will take part in the ship’s christening ceremony at 2 p.m. on Wednesday. A live webcast will be available here. Fireworks will light up the skyline near the Statue of Liberty at approximately 8:30 p.m.
We swear we are not making this up . 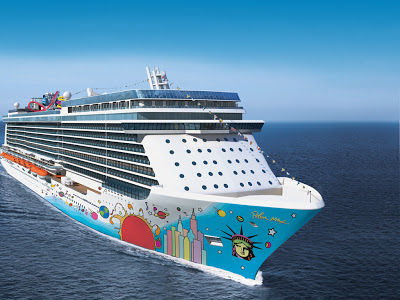 . . Norwegian Cruise Line is the designated “Official Cruise Line” of the Rockettes and Radio City Music Hall, and the “Official Partner” of the Radio City Christmas Spectacular. Two Rockettes will be present on board during the first six sailings of Norwegian Breakaway, and then on the first sailing of each month thereafter. "Active guests" can get fit with the dancers at morning sessions hosted by the Rockettes in the ship’s spa, as well as learn the Rockettes signature choreography in dance classes. Rockettes-inspired spa packages are available on all sailings (facials, deep tissue massages and conditioning hair treatments). There is a “Rockettes celebratory exhibit” in the ship library. Guests can order a “Rockettini” cocktail from any of Norwegian Breakaway’s bars and lounges. (There are 28 dining options on the ship.) They can also take home authentic Rockettes-themed merchandise, available for purchase in the ship’s shopping complex. Aren't you glad you asked? For more information about all this, visit www.breakaway.ncl.com. Part five of our series, "Why does the food on film sets look so darn good?" 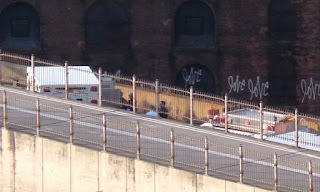 This time we looked at the spread at The Amazing Spider-Man 2, filming in DUMBO on Monday (and hitting theaters 5/2/2014). 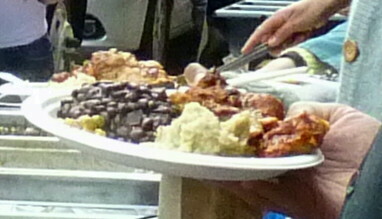 Caterers fed the cast and an unusually large number of extras heapin' plates of BBQ , chopped up by hand with cleavers the right way, with beans, vegetables, potatoes and more. Everyone seemed happy with the grub. There was also a salad bar with all the fixings set up in the Pearl Street Triangle. Folks sat in the sunny Triangle and ate lunch. What more could you want? 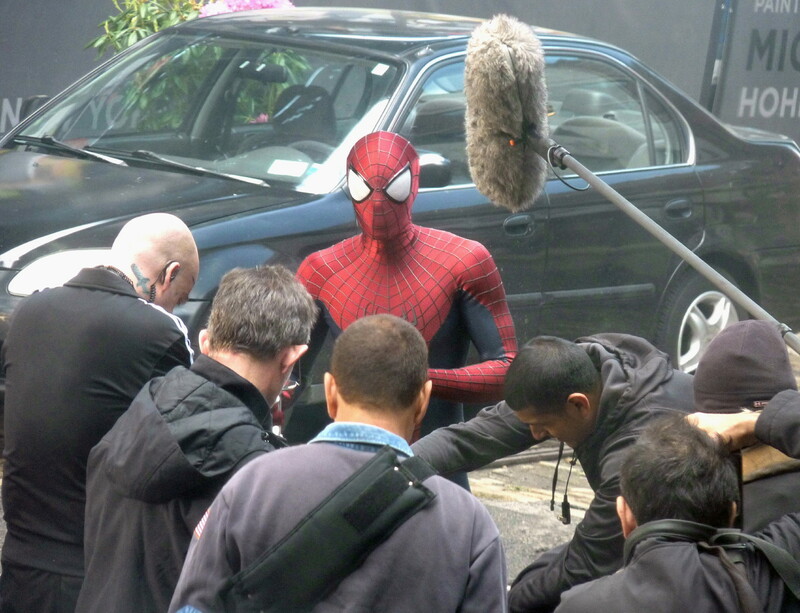 Spider-Man 2 stars Andrew Garfield as Peter Parker (Spidey), Emma Stone, Jamie Foxx and Sally Field. According to Rochester Downtown, Columbia Pictures made a deal with New York to film all of The Amazing Spider-Man 2 in the state, making it the largest movie production ever to be filmed here. 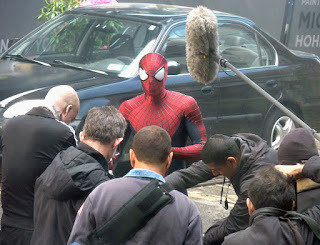 In total, about 3,500 jobs will be created by the film, and 11,000 people will be chosen as extras. 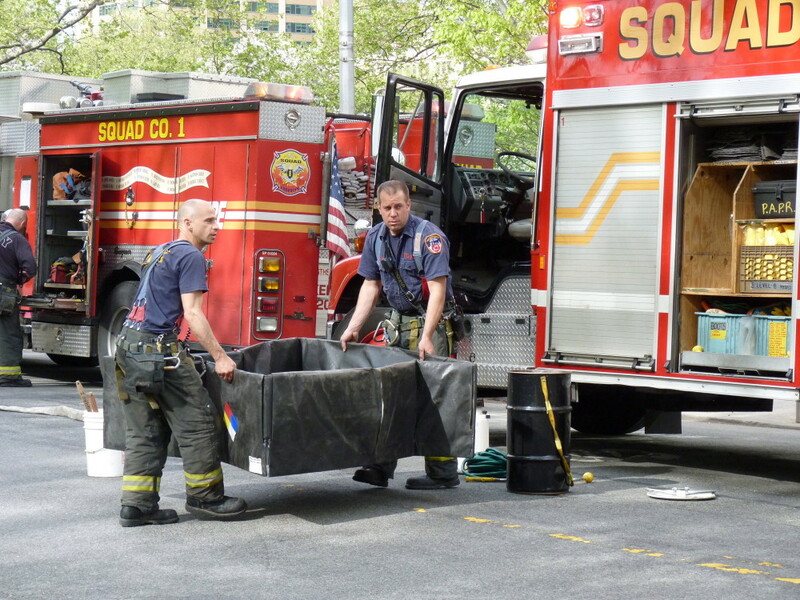 FDNY, HazMat and NYPD emergency vehicles rushed to Brooklyn Federal Courthouse on Cadman Plaza West in Downtown Brooklyn around 4 p.m. today after someone in the Clerk's Office reported an envelope containing suspicious powder, according to news reports. The Clerk's Office was placed under quarantine. 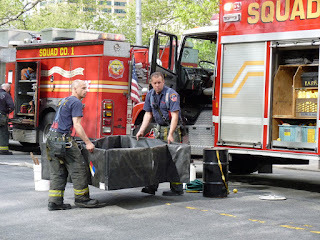 Above, Squad Company 1 puts together a decontamination tub. 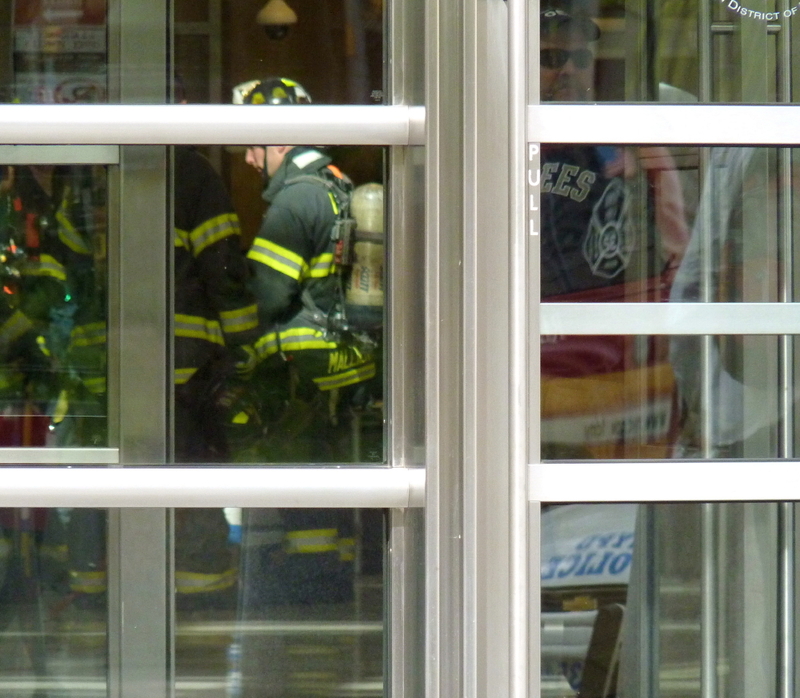 Above, a decontamination team heads inside the courthouse. 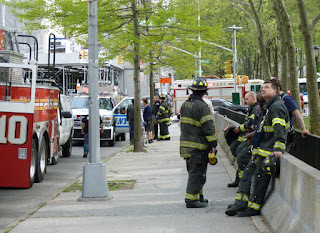 Emergency vehicles clogged Tillary Street and Cadman Plaza West. 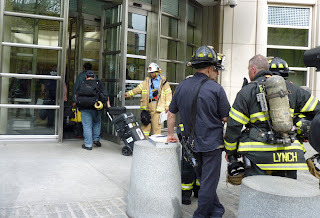 Most people were allowed to leave the building, except for the unfortunate workers inside the Clerk's Office who may have been exposed to the powder. SUNY: Who Wants to Buy LICH?